There are many organizations working to help make a better, more interesting food system. The following are committed to helping change our food system for the better. · What they do: CFS is a consumer and environmental advocacy group whose goal is to protect human health and the environment through the promotion of organic, safe, and sustainable methods of food production. Operating at both the grassroots and federal level, CFS educates the public about organic food and actively battles harmful food legislation, compelling the government to fulfill its obligation to protect consumers. · Latest project/campaign: CFS just petitioned the Department of Justice and elected officials to block several pending mergers that would further consolidate the market for seeds and agricultural chemicals. “The pending mergers between Dow-DuPont, Syngenta-ChemChina and Bayer-Monsanto.” The continuing consolidation of seed and pesticide companies essentially creates a monopoly of toxicity in control of the world’s seed market and food supply. These agrichemical giants threaten the availability and genetic diversity of seeds that are critical to a sustainable food system and to our ability to respond to the impacts of climate change,” said Andrew Kimbrell, Executive Director of Center for Food Safety. · Location: US; headquarters in Washington, DC. · Profit or nonprofit: Nonprofit. · Annual budget: $2,521,780 (990 form for 2011). · Interesting fact about how they are working to improve the food system: CFS actively battles harmful legislation through a combination of grassroots pressure, lobbying, and making use of the courts. Their victories range from stopping the USDA from accepting genetic engineering as an organic practice to forcing the FDA to withdraw the majority of arsenic-based animal drugs from use. Their drafts for food legislation have also been implemented in several states. Besides simply educating the public on issues of food policy, CFS plays an active role in shaping the legal landscape of food production in the United States. · What they do: ChangeLab Solutions provides community-based solutions for America’s most common and preventable diseases, such as cancer, heart disease, diabetes, obesity, and asthma. Their solutions promote the common good by making healthier choices easier for everyone. · Latest project/campaign: In many places, people don’t have access to fruits and vegetables, but they can find tobacco, unhealthy foods, and alcohol all too easily. Not surprisingly, these communities often struggle with high rates of chronic and deadly disease. Public health staff in the areas of tobacco control, nutrition, and excessive alcohol use prevention rarely work together as they improve stores and change health outcomes. But what if they joined forces? ChangeLab Solutions’ new set of tools and their healthy retail library can help government agencies collaborate with community members, store owners, and one another to create a retail environment where healthy choices are a priority. · Major funding: Government agencies, foundations, academic institutions, community based organizations and private entities. · Interesting fact about how they are working to improve the food system: ChangeLab Solutions helps communities around the nation build access to healthy, affordable, fresh food. Their tools are designed to help community leaders bringing about public health changes in their neighborhoods, attract grocery stores, improve the corner store environment, make restaurants healthier, build community gardens, create farmers markets, and more! ChangeLab offers sample contracts, resolutions and advice for municipalities. · Who they are: Created by a team of food policy leaders, Food Policy Action informs the average citizen of current food policy legislation being considered in Washington, as well as how each member in the House and Senate is voting. This gives consumers the knowledge they need to determine which legislators they should support. · Major funding: Individual donations and grants. · Interesting fact about how they are working to improve the food system: By providing the latest food policy information in an easy to comprehend format and raising the political profile of food in America, we give citizens the information they need so that they can support elected officials and good food policy to fix our nation’s food system and improve public health. · Who they are: The Food Research & Action Center works with a network of nonprofits, public agencies, corporations, and labor organizations at the local, state, and national level to address hunger in America. FRAC acts simultaneously as a research center, policy watchdog, and food advocate in order to compel the implementation of good food policy, in addition to providing on-the-ground support to food banks and community centers. · Their mission: The Food Research & Action Center (FRAC) is the leading national nonprofit organization working to improve public policies and public-private partnerships to eradicate hunger and undernutrition in the United States. FRAC works with hundreds of national, state and local nonprofit organizations, public agencies, corporations and labor organizations to address hunger, food insecurity, and their root cause, poverty. · Location: USA; headquarters in Washington, DC. · Latest project/campaign: With the 2016 elections fast approaching, FRAC has created a one-stop-shop for anti-hunger advocates to get the facts and tools they need to ensure every candidate knows about the extent of hunger in America and the solutions that exist to solve it. · Interesting fact about how they are working to improve the food system: Since its establishment in 1970, FRAC has been advocating to protect and strengthen federal nutrition programs. · Who they are: Food &Water Watch seeks to take power out of the hands of harmful food and energy corporations and place it back into the hands of the people. F&WW mobilizes and educates citizens through grassroots and educational campaigns in hopes of achieving political change to create a healthy, safe, and sustainable future. · Location: US; headquarters in Washington, DC, with 16 field offices across the country. 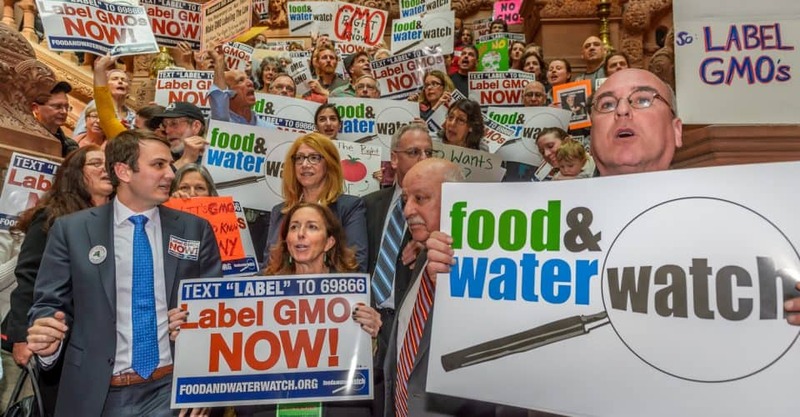 · Latest project/campaign: Food & Water Watch is currently trying to stop trade deals that would bring in more unsafe food imports, and is trying to weaken the monopoly stranglehold a few large corporations have over our food system. · Major funding: Food & Water Watch is funded through its membership, as well as individual and foundation donations. Food & Water Watch does not accept any corporate or government funding. · Interesting fact about how they are working to improve the food system: Food & Water Watch seeks to transform the food system by getting the public involved in demanding food policies that put people over corporate profits. · What they do: ROC aims to improve the wages and working conditions of restaurant employees. Through campaigns to educate the public, partnerships with restaurants, workshops to uplift low-income restaurant workers, and by conducting research, ROC promotes the “high road” to profitability, in which both employers and employees benefit equally. · Location: US, headquarters in New York City. · Major funding: ROC United is supported by local and national foundations as well as contributions from restaurant workers, employers, and consumers across the country. · Interesting fact about how they are working to improve the food system: ROC’s programs not only support and advocate for low-wage workers. They also partner with restaurateurs through RAISE and consumers through Diners United to promote profitability through sustainable, fair business models and policy change.